This green tea and charcoal infused memory foam mattress is beautifully crafted to offer you graceful and peaceful sleep. Our mattress is designed to naturally pattern the shape of your body, thereby relieving pressure points that can result in pains and getting rid of motion disturbance. 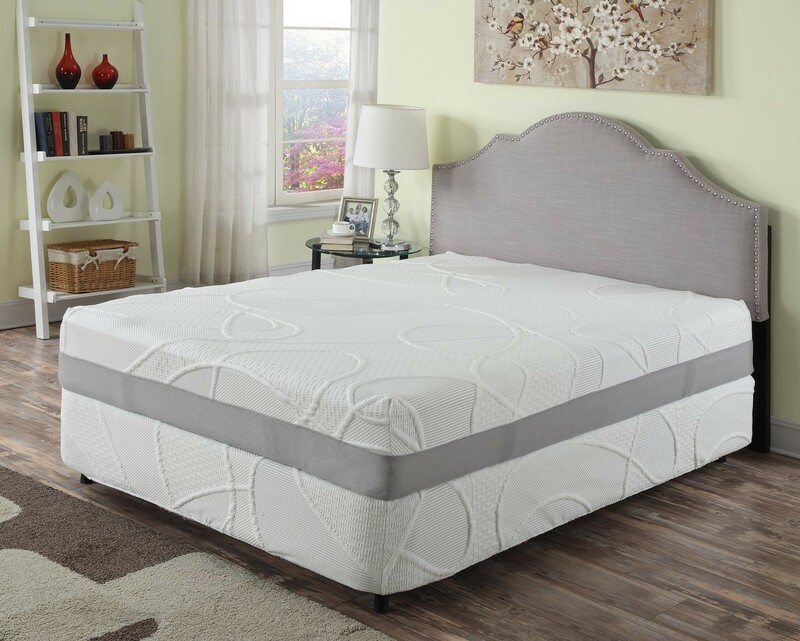 Since our polyester memory foam mattress is firmly constructed, you are in to enjoy the comfort, style and elegance it offers for many years to come. - HIGH DENSITY FOAM MATTRESS: Dual layers of 2", 3lbs gel infused foam and charcoal infused foam sit atop a 7.75" support layer - MEMORY FOAM WITH GEL: Charcogel memory foam conforms to your body, soothing aches and pains and providing pressure-free rest for the weary back - NO MORE MATTRESS TURNING: Made with a unique foam composition, this mattress will never wear down from the weight - REMOVABLE MATTRESS COVER: Optional mattress cover protects from moisture, using a zipper closure ' Overall thickness: 12'', overall: 60'' W X 80'' L, overall product weight: 90 Lbs.